Like many RV-8 builders, I have decided to mount my battery in the forward baggage space well. 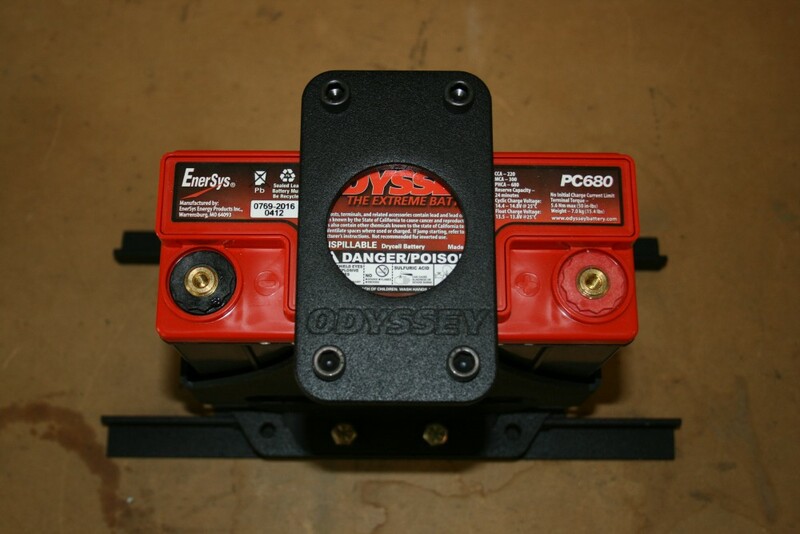 To minimize the weight and balance impact of moving it forward, I opted to use the Odyssey PC-680 battery, which weighs in at less than 15 lbs. 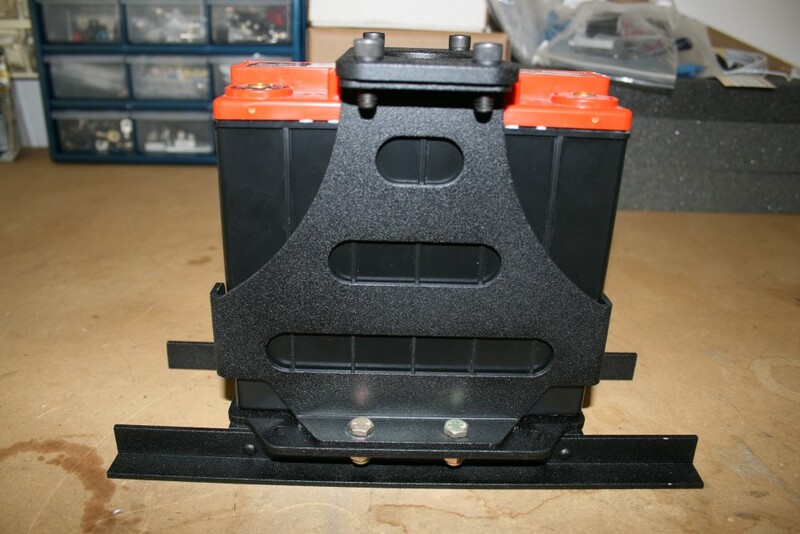 Mounting the battery in the baggage well begs the question of how to secure it and after considering using the standard Vans battery mount, which is too large, I decided to look for a smaller and more tailored solution. Ultimately, I found the HK-PC-680 battery mount at Jegs and it seemed like the perfect solution. Tailored to the size of the PC-680 and made of aluminum, all it needed was a way to mount it in the baggage well. I made two “Z” channels out of aluminum angle stock and flush riveted them to the mount, and then painted the whole thing with rattle can Rustoleum Truck Bed Coating. The mount will be secured to the baggage well floor using four CherryMax rivets. 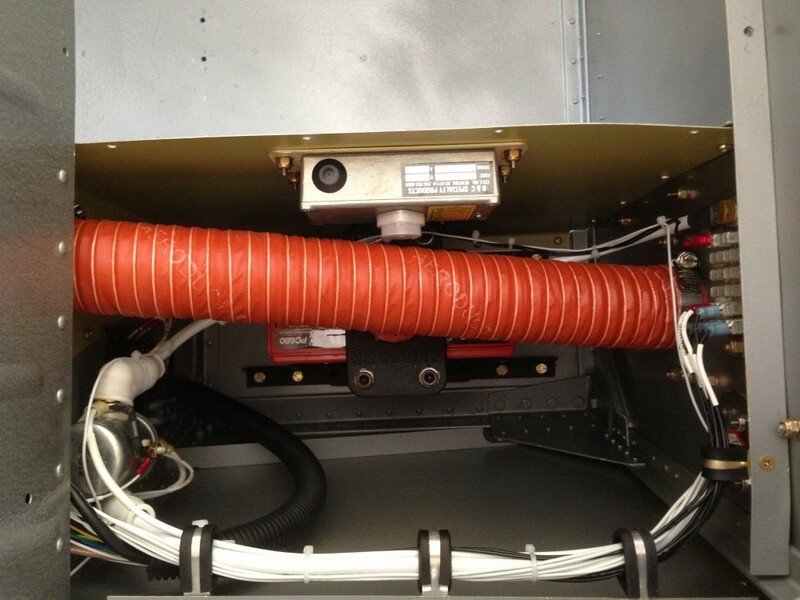 This entry was posted in Electrical System on August 28, 2012 by Mark Dickens. 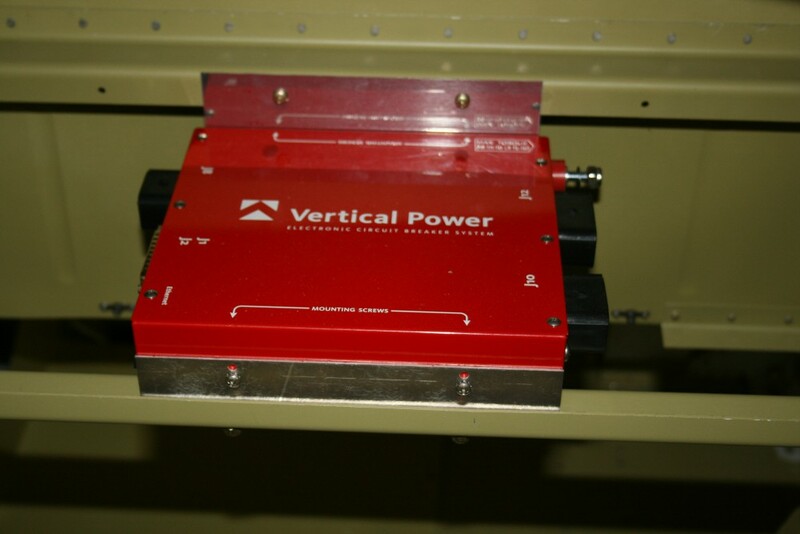 After thinking about it a lot and consulting some other builders, I decided to use Vertical Power’s VP-X Pro for my main electrical buss. 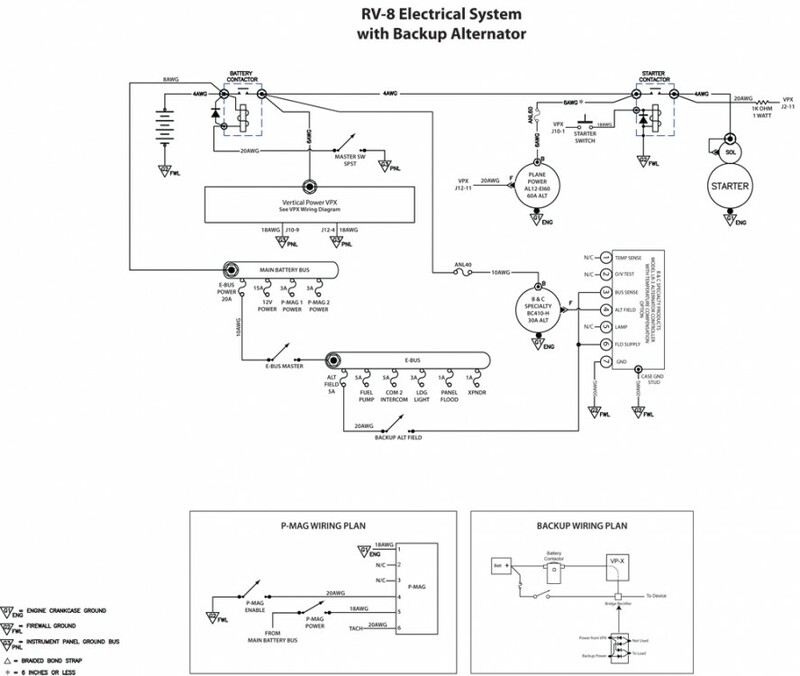 Since I’ve committed to Dynon’s SkyView system, it made sense to use the VP-X Pro for electrical system management since the two systems “talk” to each other. I can avoid having to find space in my panel for electrical gauges and I can program electrical system alerts into the SkyView system. Overall, it made sense to have one totally integrated system. As shown above, I mounted it between the two cross braces in the forward fuselage. This ought to afford easy connectivity to the battery and all of the avionics. This entry was posted in Avionics and Panel, Electrical System on June 16, 2012 by Mark Dickens.